How important is it to enhance muscular fitness early in life? The average person would likely not be able to answer this question but fortunately, the experts have, and here’s what they say…. Despite traditional fears and misinformation, concerns associated with youth resistance training are incorrect! A compelling body of evidence has found that participation in supervised resistance training can be a safe, effective and worthwhile method of conditioning for children and adolescents. 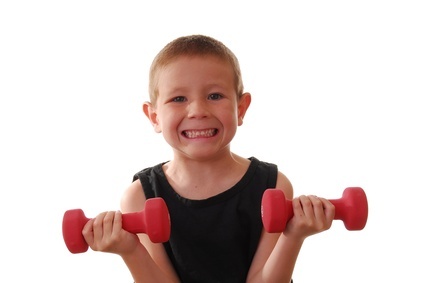 Many of the strength benefits associated with weight training are attainable by children and adolescents. When supervised by qualified fitness professionals and consistent with the needs, interests, and fitness level; children can experience enjoyment, socialization and can have an ongoing interest in health and fitness. But, before we further discuss why your youth should have the opportunity to have fun, make friends and learn something new… Let’s just dispel the myths associated with youth resistance training. Resistance training will not stunt the growth of children. There is no scientific evidence which suggests that participation in a supervised resistance program will either stunt the growth of children, or damage developing growth plates. In actuality, childhood may be the most opportune time to engage in weight-bearing activities, as this will enhance bone mineral content and density during the years that bone growth and development are taking place. Resistance training is unsafe for children… but not any more so than any other recreational and sport activity that youths normally participate in. The good news is that although accidents can happen, they can also be avoided through qualified instruction in a safe training environment and a sensibly progressed training program combined with basic education on weight room etiquette. Resistance training is not only for young athletes. There is readily observable health and fitness benefit for all children and adolescents. In addition to performance enhancement and injury reduction, resistance training can improve musculoskeletal health, enhance metabolic function, and increase daily physical activity. Resistance training may be particularly beneficial for overweight youth who are often either unwilling or unable to perform prolonged periods of aerobic exercise. Resistance training is not only for youths over the age of 12 years old. There is no evidence-based minimum age for participation in a youth resistance training program. Generally, when your child is ready for sport participation, around ages 7 or 8, they are ready for some type of resistance training as well. As long as your youth has the ability to accept directions and follow safety rules, they can maintain a well-rounded fitness program. Resistance training is beneficial for girls as well. Girls will not develop bulky muscles if they lift weights. Training induced gains in muscular strength during childhood are primarily due to neuromuscular adaptations and skill development. During the growing years, boys may develop bigger muscles, but that is only due to the effects of anabolic hormones that are not operant in girls. Girls therefore, can get stronger throughout childhood and adolescence while gaining all the benefits from resistance training without ever developing bulky muscles. Education and instruction on proper resistance training techniques and procedures should begin early in life in order to optimize training adaptations and spark an ongoing interest in resistance exercise. 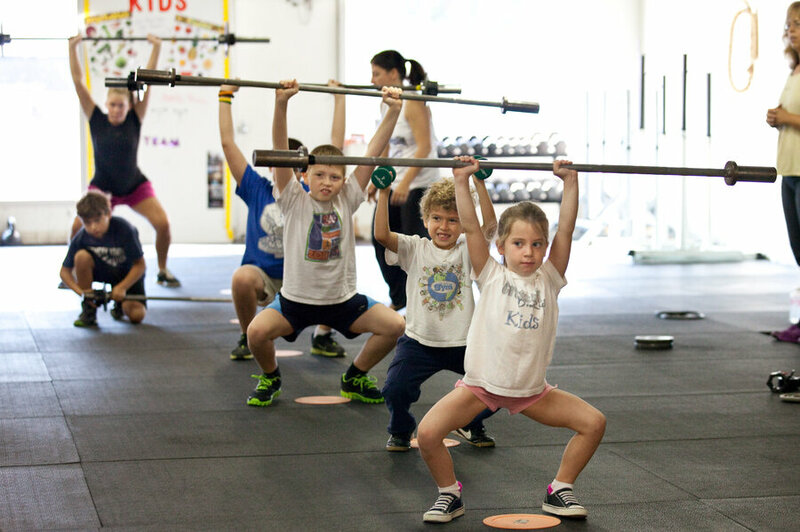 Although, there is no minimum age for participation in a supervised resistance training program, most healthy 7 and 8 year olds are ready to follow instructions and adhere to safety rules. This provides a needed opportunity to take advantage of a potential synergist adaptation whereby participation in strength-building activities early in life compliments naturally occurring changes in muscular fitness. The effects of a well designed resistance training program can have dramatic and long lasting effects due to the fact that the first few years of life are literally characterized by rapid changes in myelination of central nervous system. The result of this is that, in much the same way that learning a new language or playing a musical instrument is much more easily achieved in comparison to attempts at developing these skills later in life, there is a unique opportunity to target strength development early in life. Furthermore, training programs that target sports-related injuries to the anterior cruciate ligament are more effective if they start earlier in life before the onset of neuromuscular deficits that may increase risk of injury. Progression: The principle of progression refers to the fact that the demands placed on the growing body must be increased gradually through time to achieve long-term gains in muscular fitness. This just means that, consistent with each individual’s needs and abilities, the stress placed on the body should become more challenging to continually stimulate adaptations and maintain interest in the program. Regularity: The principle of regularity refers to the fact that inconsistent training will result in only modest training adaptations, and periods of inactivity will result in a loss of muscular strength and power. As training induced adaptations in muscular fitness cannot be stored, the old adage applies, “use it or lose it”. Long-term gains in physical development will be realized only if the program is performed on a consistent basis throughout childhood and adolescence. Overload: The principle of overload refers to a fundamental tenet of all resistance training programs. Simply stated, to enhance muscular fitness, the body must exercise at a level beyond that at which it is normally stressed. Training overload can be manipulated by changing either the intensity, volume, frequency or choice of exercise. Creativity – The principle of creativity refers to the imagination and ingenuity that can help to optimize training-induced adaptations and enhance exercise adherence. The fundamental principles related to the prescription of sets and repetitions should be balanced with imagination and creativity. For example, youths can create new resistance exercises with light-weight medicine balls or find a solution on their own to a challenging task that requires balance and coordination. Enjoyment – The principle of enjoyment refers to the fact that participants who enjoy participating in exercise or sports activities are more likely to adhere to the program and achieve training goals. If the resistance training program is too advanced, youth may become anxious and lose interest. Conversely, if the training program is too easy, then youths may become bored. Youth resistance training programs should therefore be balanced between skill and challenge along with support from fitness professionals, friends and family. Socialization – The principle of socialization refers to the fact that gains in muscular fitness will be optimized if participants make new friends, meet other people, and work together toward a common goal. Participating in a resistance training program can help youths to feel connected to other participants as they gain confidence and competence in their physical abilities and work toward a common goal in a positive and supportive manner. Supervision – The principle of supervision refers to the fact that safety and efficacy of exercise programs are maximized when qualified fitness professionals supervise activities and provide meaningful feedback throughout the training session. A qualified specialist should be well versed in the principles of pediatric exercise science and should know how to teach, progress, and modify skill-based exercises. Fitness professionals who genuinely appreciate the unique potential of the younger population and who understand the PROCESS of youth resistance training are best prepared to design, supervise, and instruct sustainable programs that spark an ongoing interest in health and fitness. Therefore we have reason for a great level of optimism and excitement toward this type of training. Moreover, these interventions will allay the very troubling trends in muscular fitness among modern-day youths while implementing safe, effective and enjoyable resistance training programs for children and adolescents.